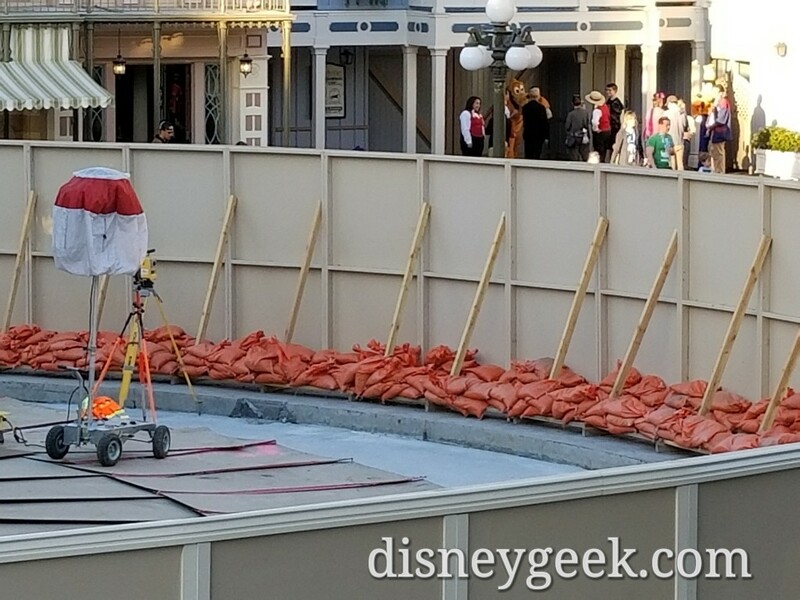 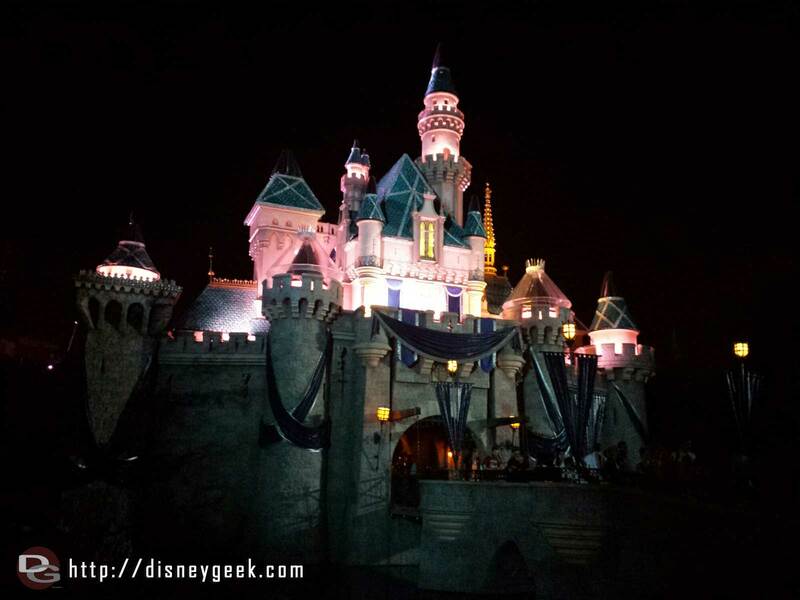 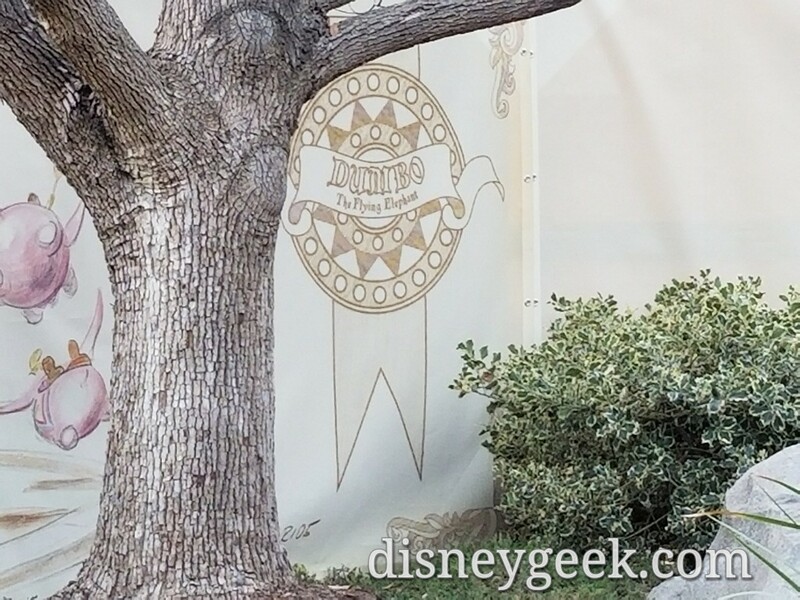 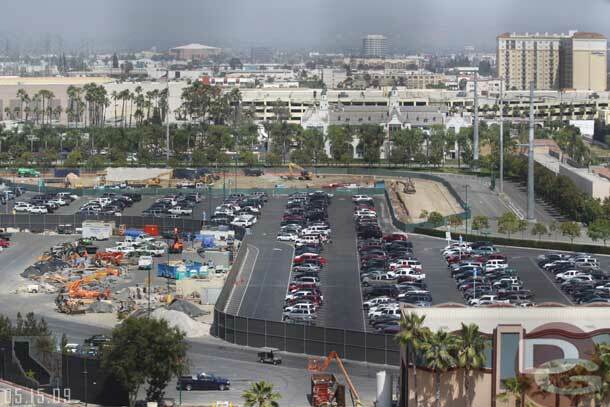 There are several projects underway around Disneyland. 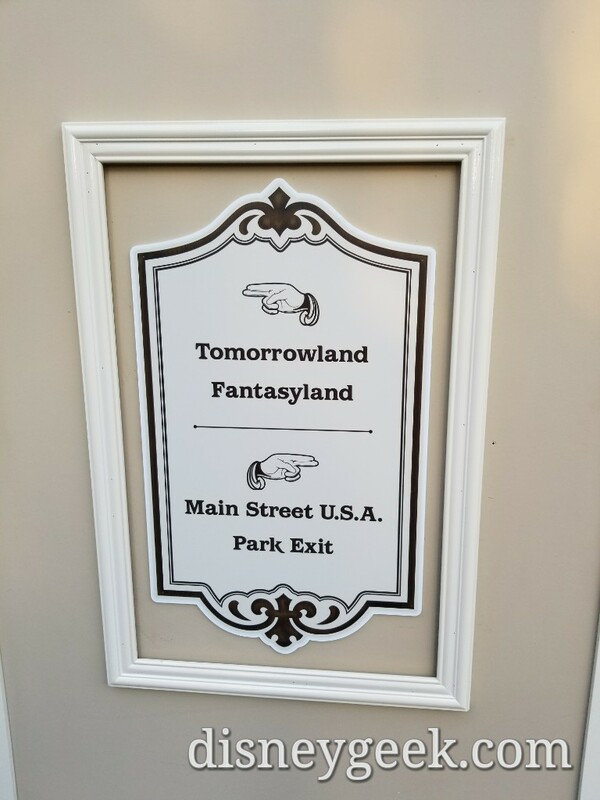 Since my last visit artwork has been added to them. 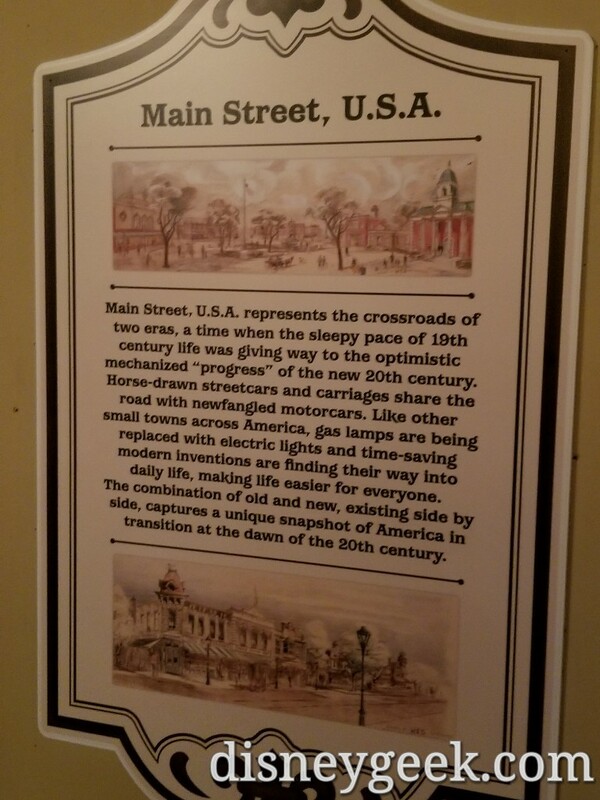 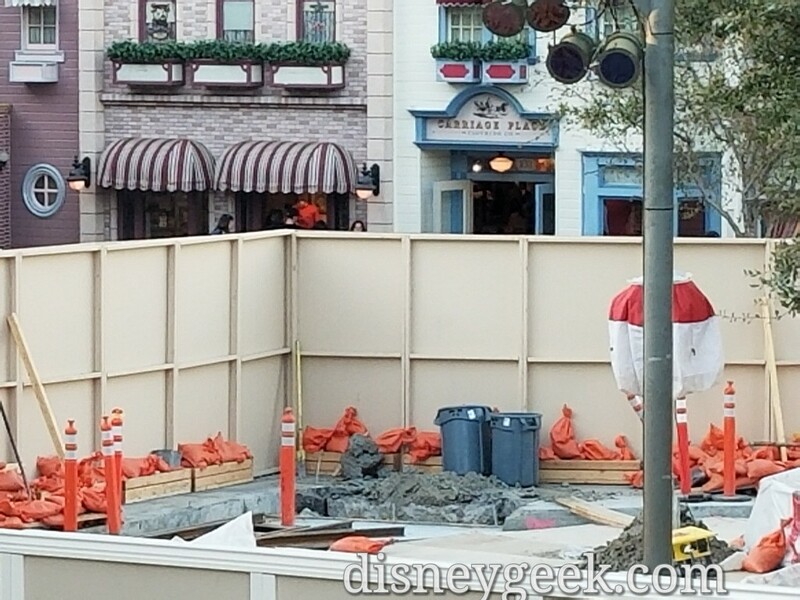 Starting off on Main Street USA with the horse drawn street car track replacement. 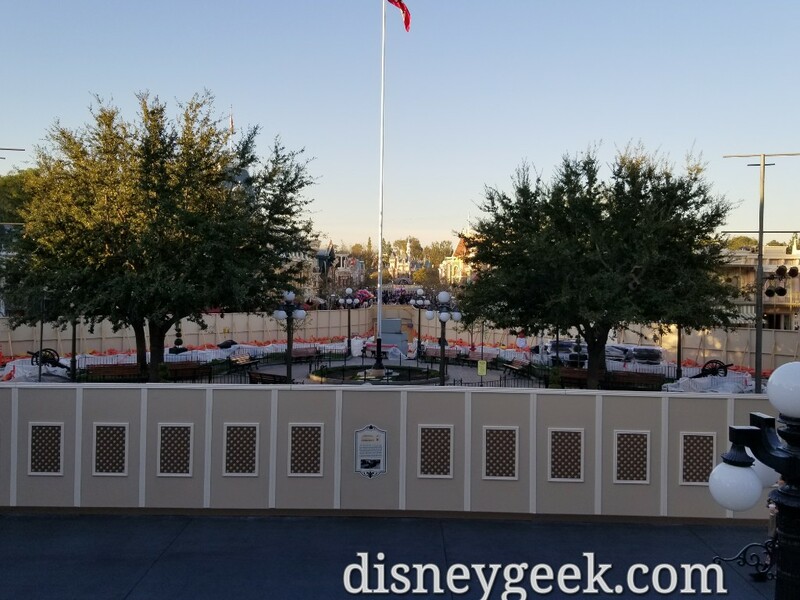 It appears the track and concrete around the hub has been removed and they are ready to lay the new track. 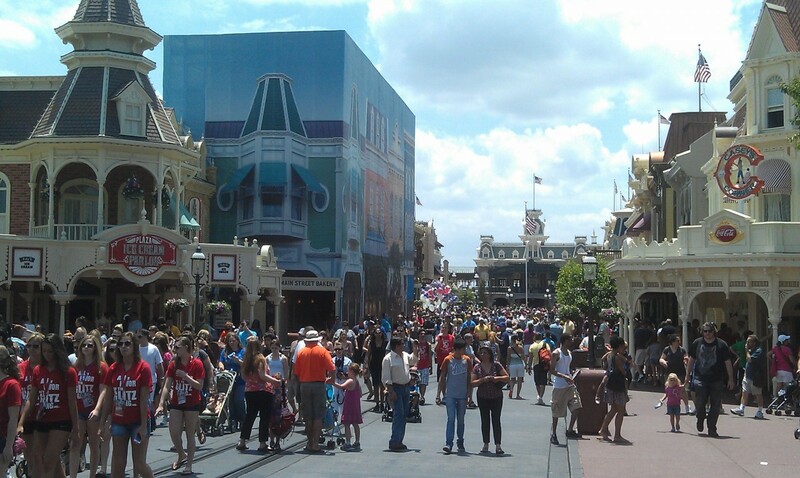 This where the line splits to go toward the firehouse and backstage. 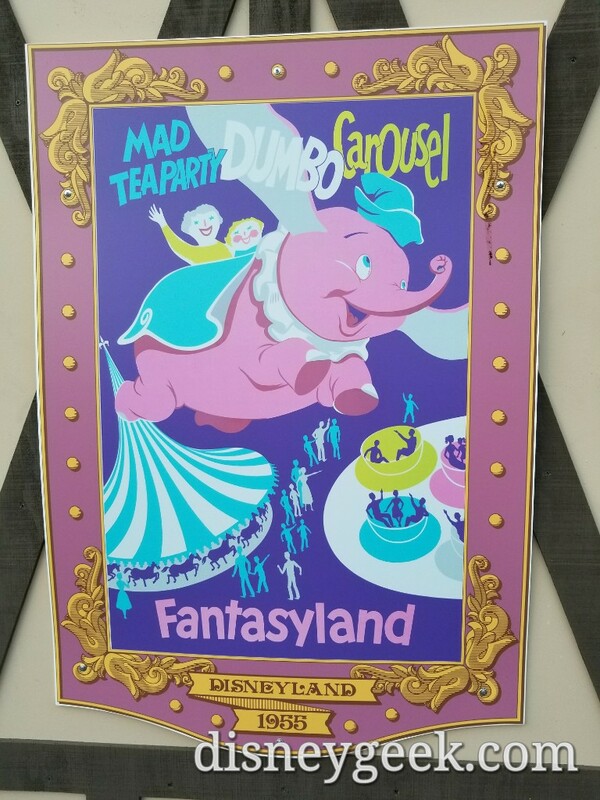 The walls now feature some signs and artwork. 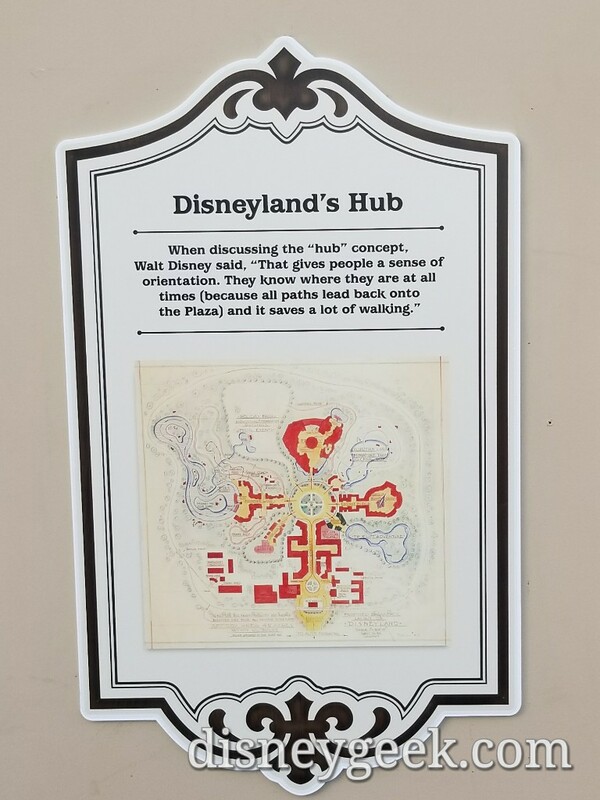 In the hub they added directional signage to help guests. 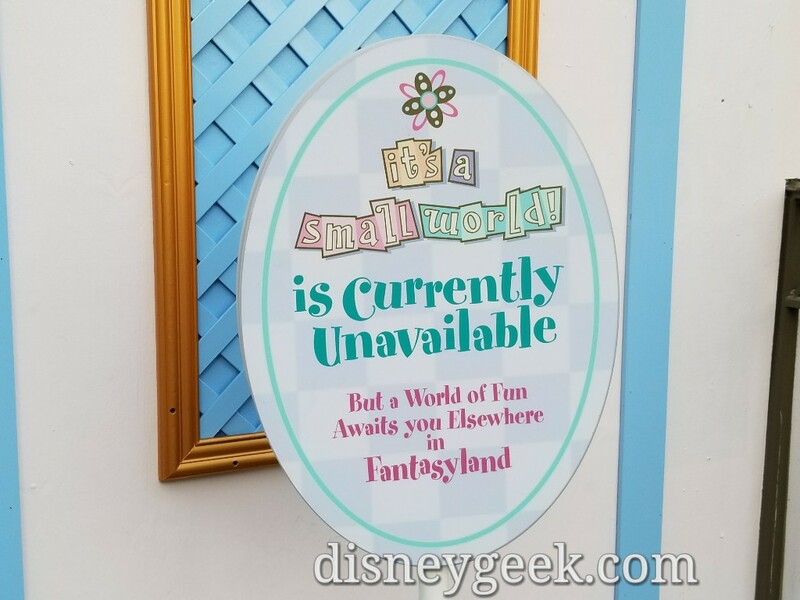 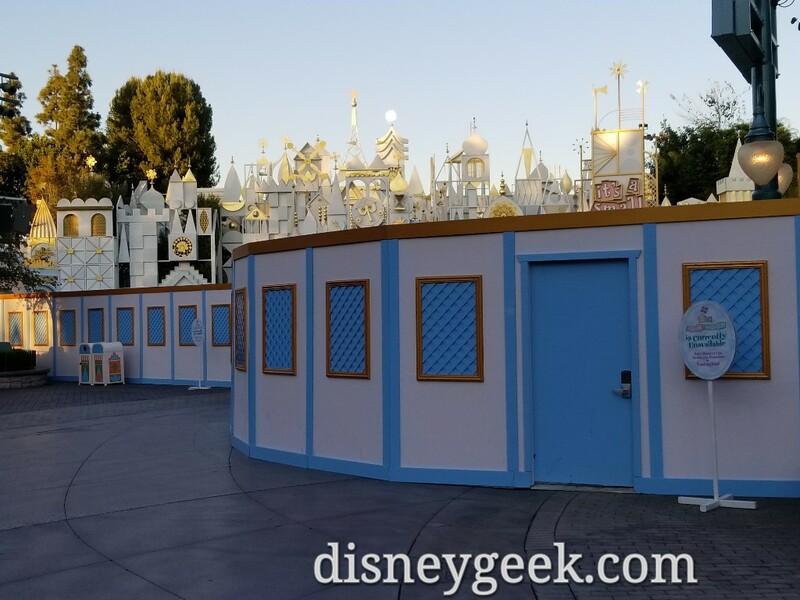 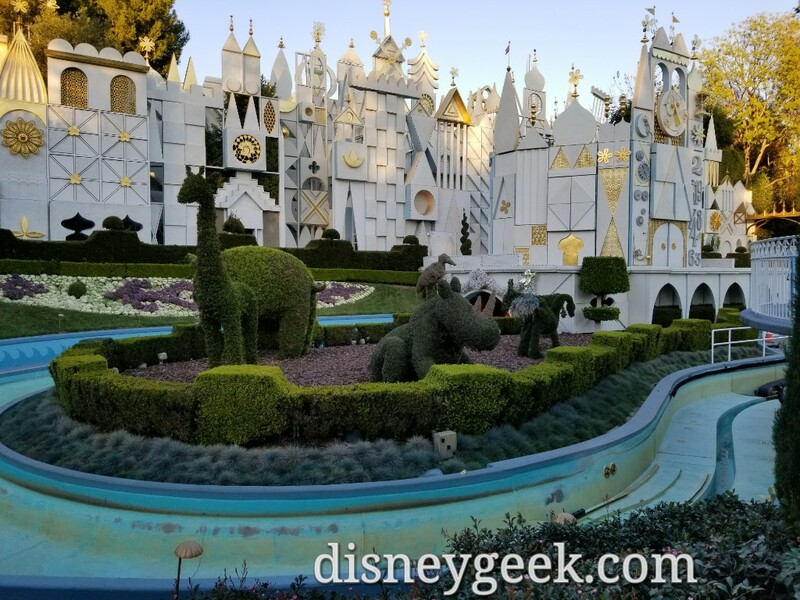 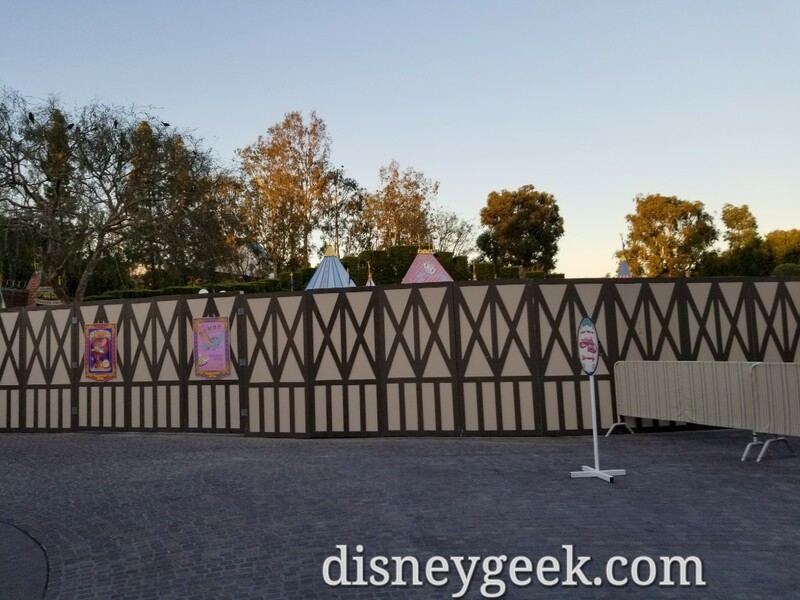 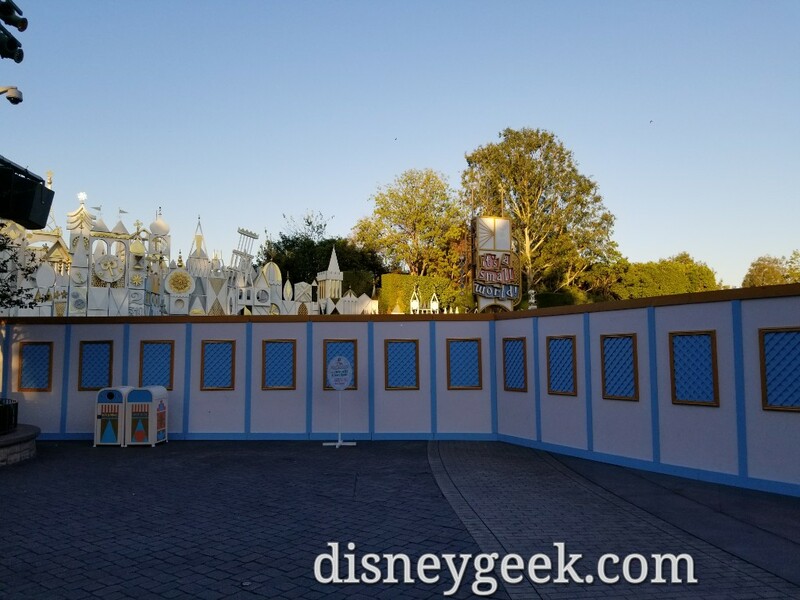 t’s a small world is closed for removal of the holiday overlay and they are making a tweak to the parade route in the area to better accomodate the queue. 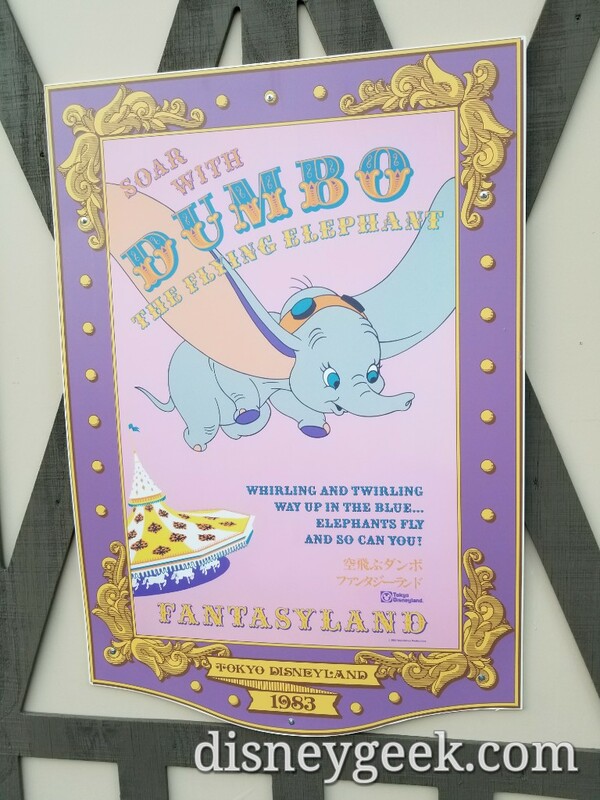 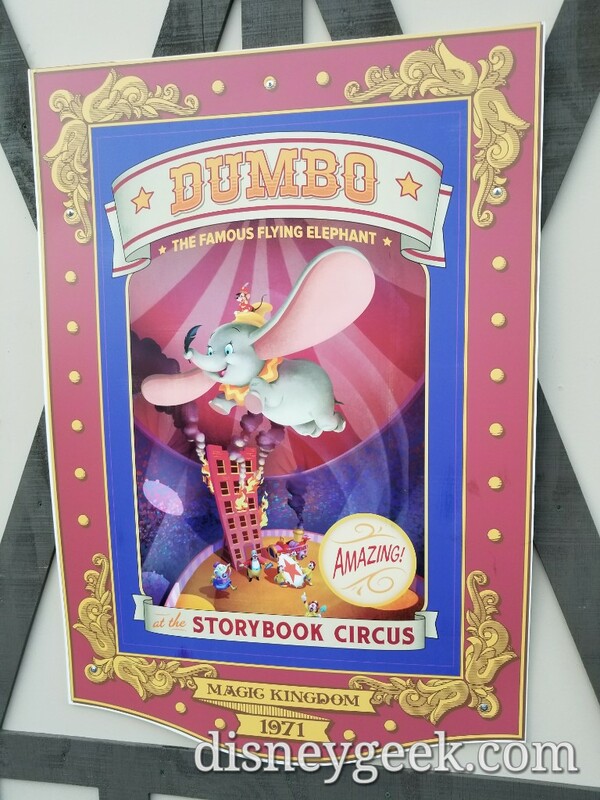 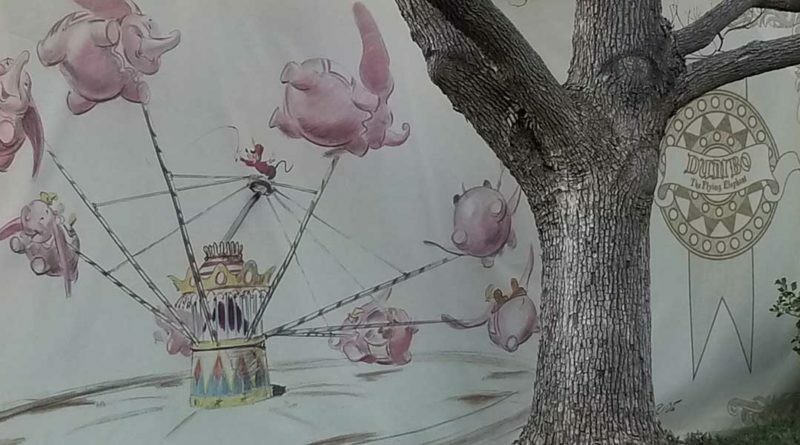 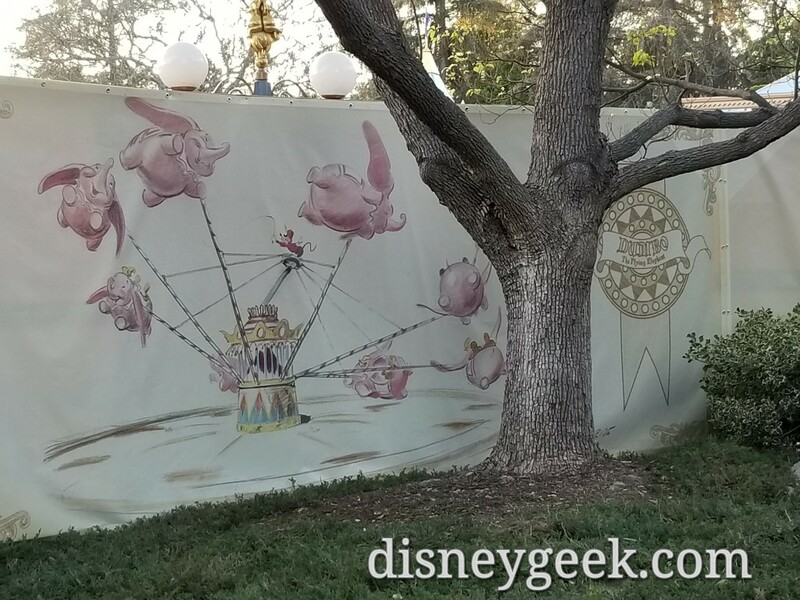 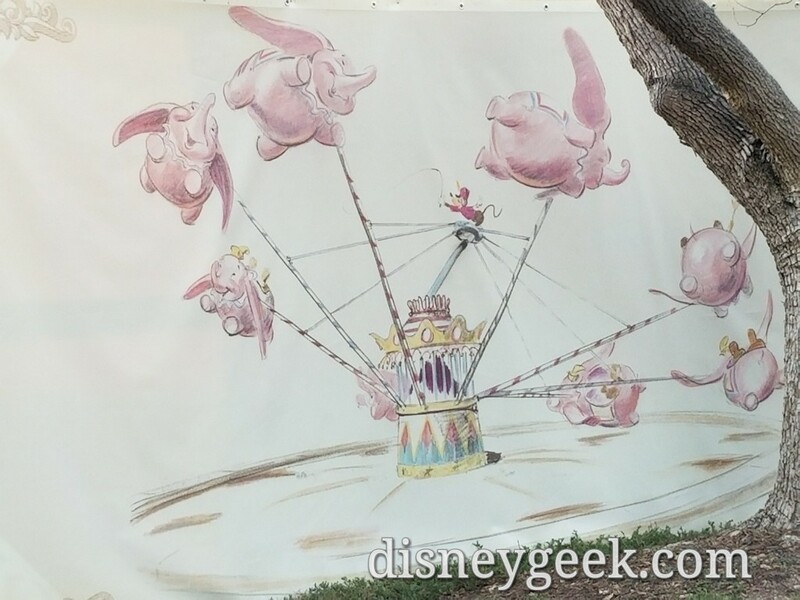 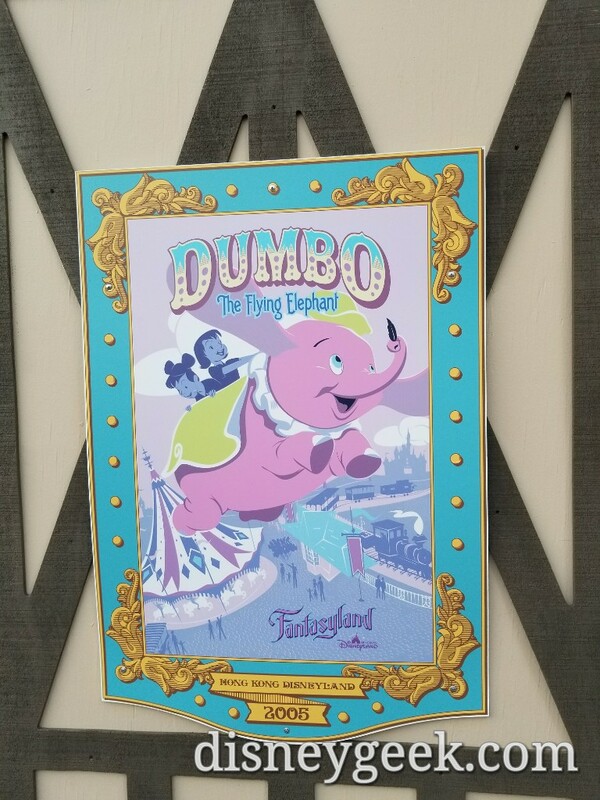 The Dumbo walls now feature artwork and attraction posters from Anaheim, Orlando, Tokyo and Hong Kong. 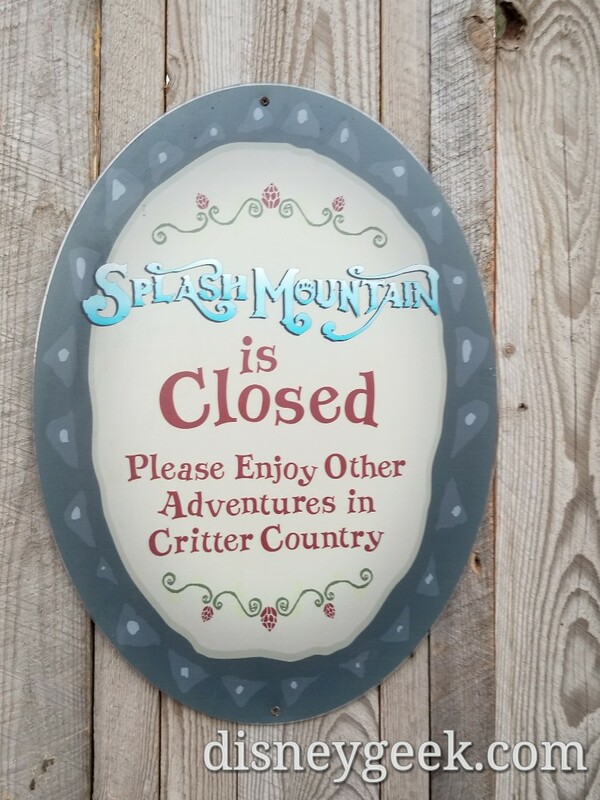 Nothing from Paris or Shanghai. 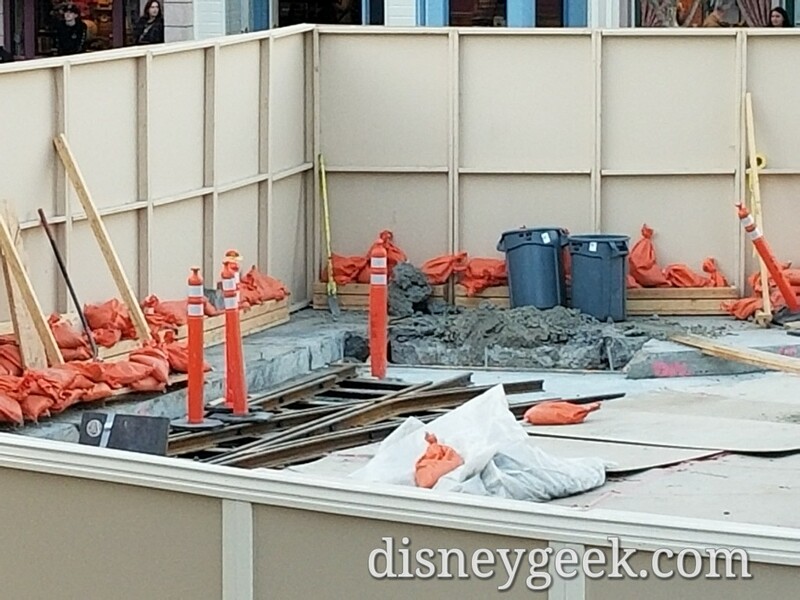 The walls have been pushed out and block the walkway now.. so you have to walk around. 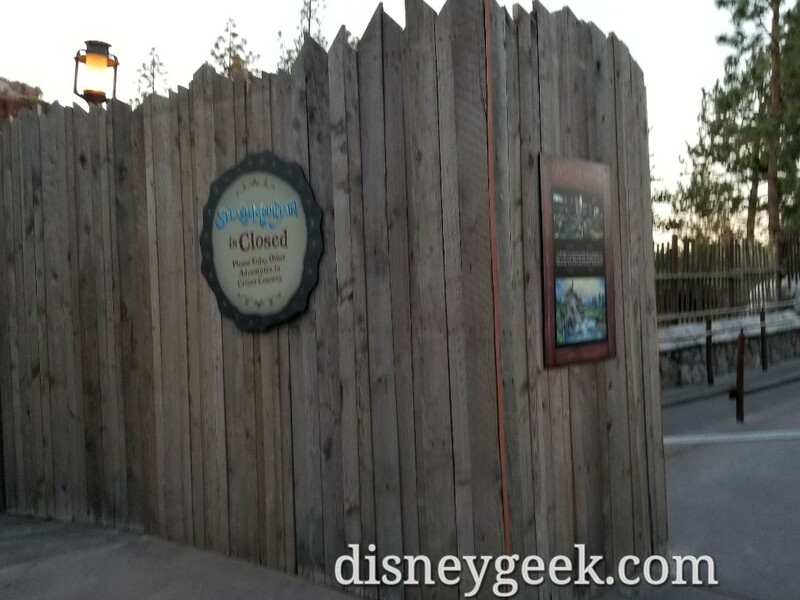 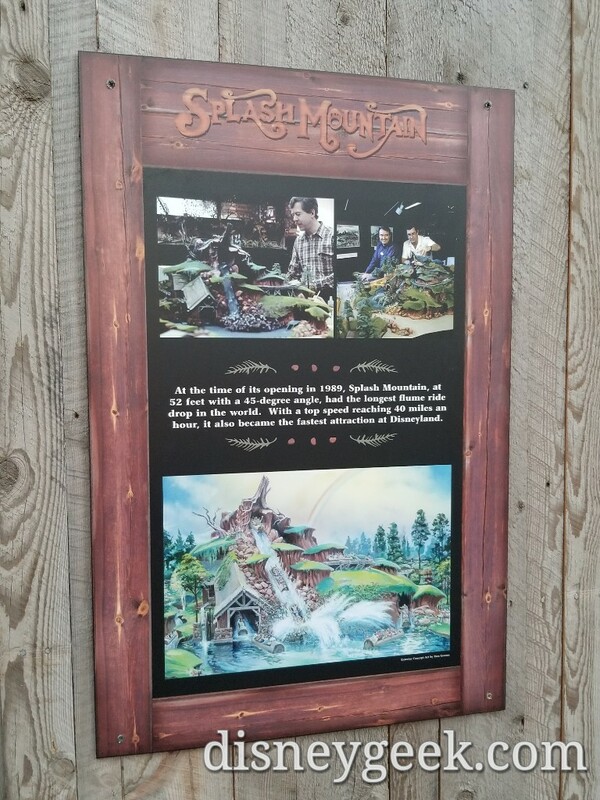 Splash Mountain is closed for annual renovation and a small wall is near the start of the queue. 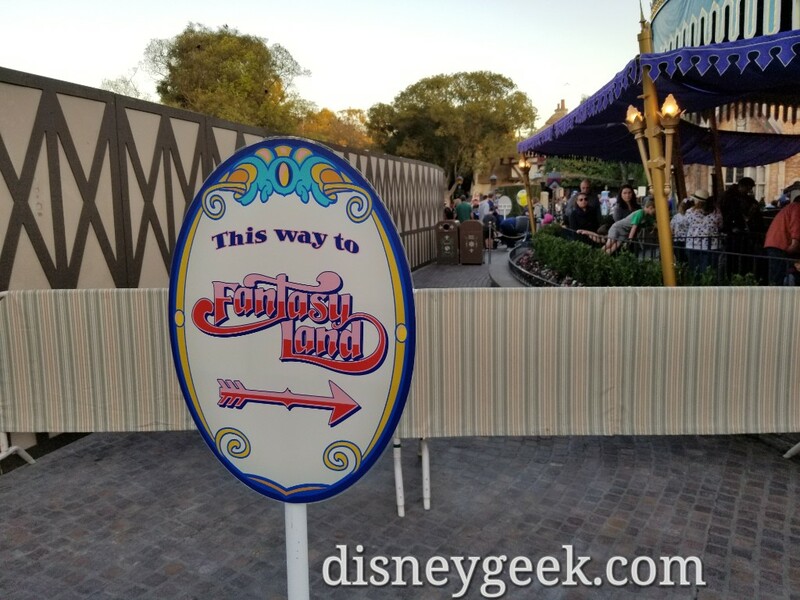 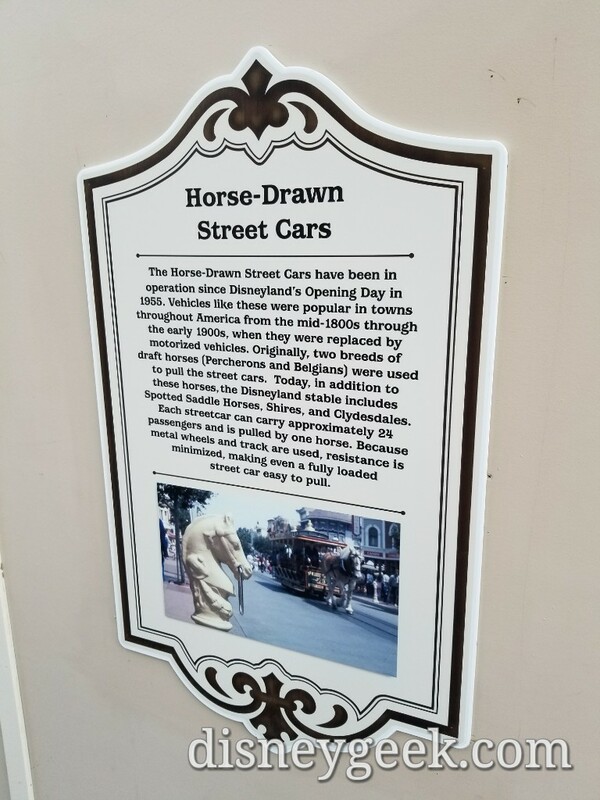 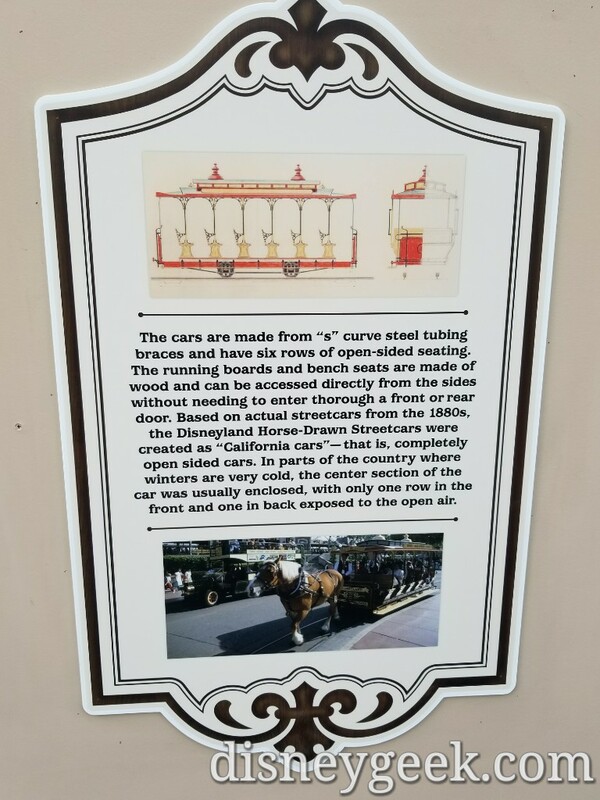 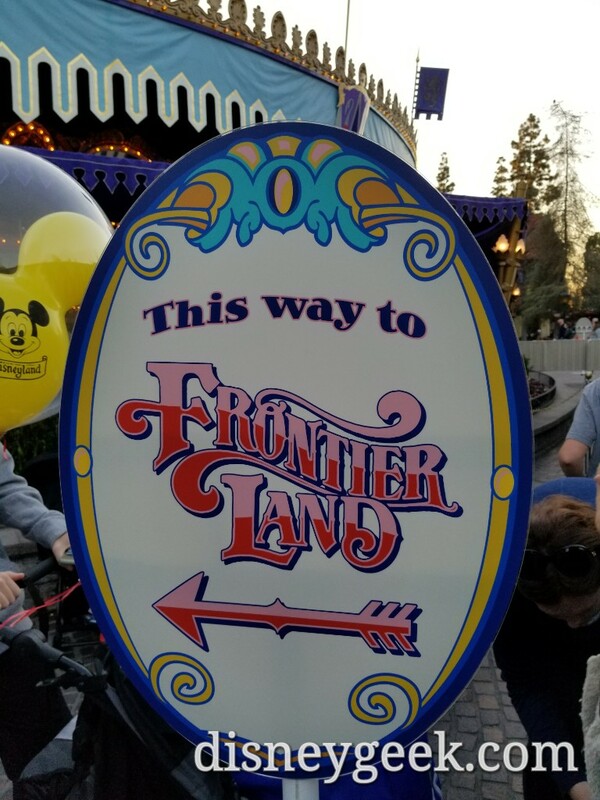 Surprising to me that no one at Disney noticed the spelling error on the second of the horse drawn street car signs, “thorough” should be “through”.